"This limits the ability of this energy boom to lift the living standards of the residents in drilling counties," said Weinstein. "It increases concerns that the counties bearing the brunt of the costs associated with drilling, from higher infrastructure costs to potential environmental costs, are not reaping all of the benefits of drilling." "While some drilling counties, such as Williams County, N.D., are experiencing simultaneous growth in other industries, counties like Belmont are more likely to experience some crowding out of other industries as the energy industry grows," she said. Weinstein's findings were published recently in the Journal of Resource Policy, in a paper titled "Follow the money: Aggregate, sectoral and spatial effects of an energy boom on local earnings." "The oil and gas industry has brought much needed economic activity to East Ohio, but it has also brought additional need for infrastructure and services," said Cera. "Using revenues from the severance tax to invest in local governments, improve infrastructure and provide services not only benefits the citizens and communities throughout Eastern Ohio, but it also supports the industry." According to Weinstein, if Ohio doesn't invest in drilling counties, their current economic success might be short-lived. This investment would likely require raising the natural gas severance taxes in Ohio, which are well below other drilling states. 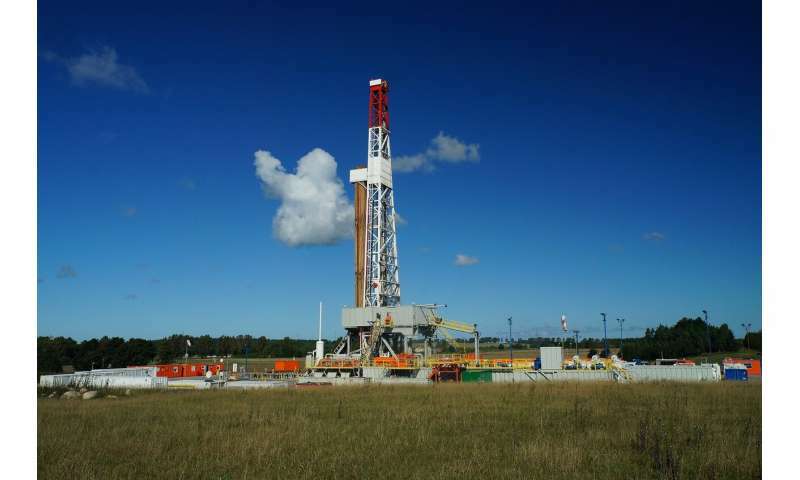 "This seems unlikely, as Ohio House Republicans recently scrapped a proposed increase in natural gas severance taxes, which would have brought the natural gas severance tax up to 6.5 percent—still a full percent below drilling states like Texas," she said. Partridge, one of her co-authors, noted, "After the boom of a few years ago, drilling in Ohio remains stuck at the bottom, even as places—especially Texas—have made recoveries." "Much of the tax dollars the industry does pay, such as the severance tax, are not local taxes. A portion of gas taxes are local and can help fund some of the much needed road construction projects in drilling counties. But with the projected shortfall in the state transportation budget, current gas taxes in Ohio are not large enough to fund the infrastructure projects across the state – let alone allocate more dollars to drilling counties," Weinstein concluded. One conclusion that could be drawn is "This limits the ability of this energy boom to lift the living standards of the residents in drilling counties." If you're a glass-half-empty kind of person. Another conclusion that could be drawn is that $4 out of every $5 dollars in earnings stays where the boom is happening, dramatically increasing the wealth and living standards of the people in those areas; as has been obvious to anyone who has paid attention. Like in Alaska where the actual (cash) tax revenue collected is less than 5% of gross, all the profits go to out of state corporations, and many of the workers live out of state or drink away their wages in Thailand, so none of that hits the local economy either. I wouldn't let you cut the wood in my backyard for 5% of gross.